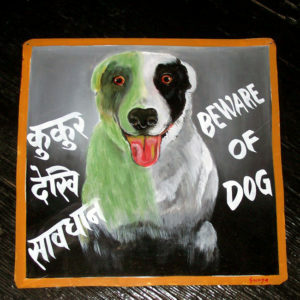 Tippy is a black and white border collie, here hand painted on metal by Shahi. 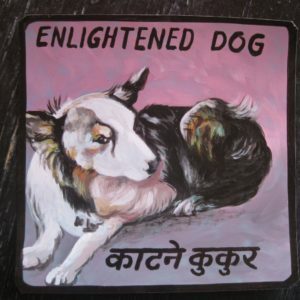 This painting of a Beware of Bearded Collie is by Nabin. 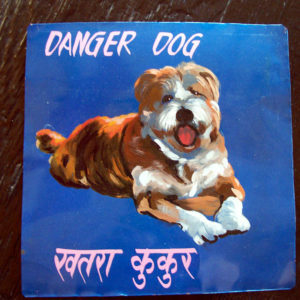 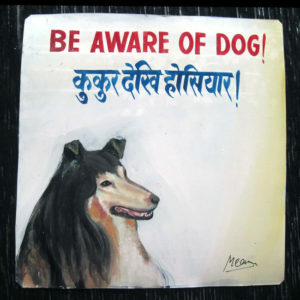 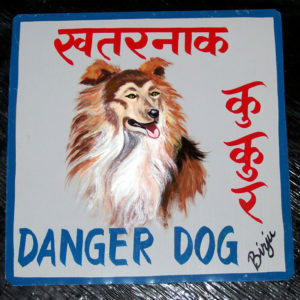 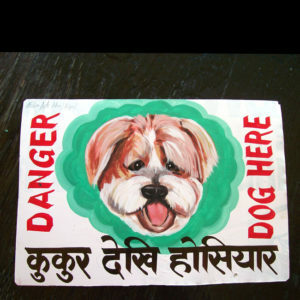 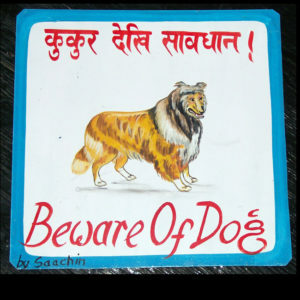 This hand painted Beware of Bearded Collie sign is by Jit Gurung. 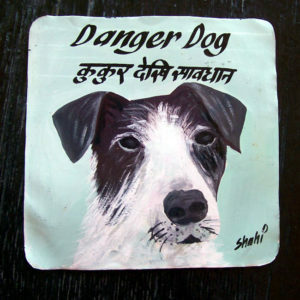 Ernie is a happy mix of a Border Collie and a Dachshund. 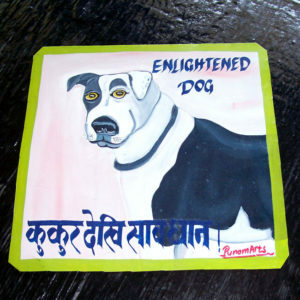 His hand painted portrait is by Shree Laimachhaine. 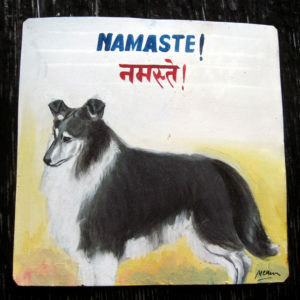 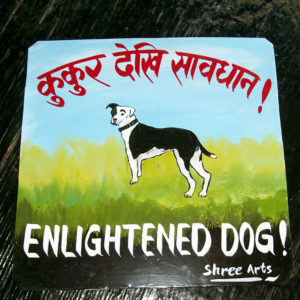 This portrait of Jitters the Border Collie is hand painted on metal by the Nepali artist and sign painter Indra Lama. 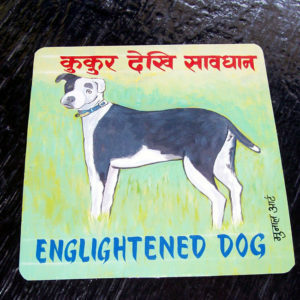 Typhoon was a prize winning tulip-eared Collie in the early 1970’s. 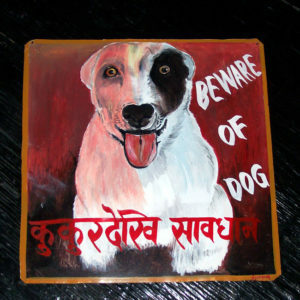 Here Typhoon is hand painted on metal by Megh Raj Thapa. 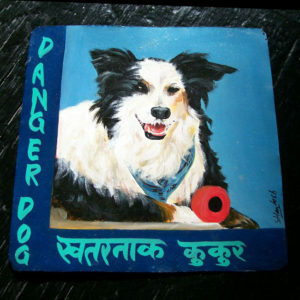 Lucy is a black and white border collie, hand painted on metal by Punam.